Our premium quality range includes ledge stones that are available in different sizes and thickness. As a recognized name in the industry, we are providing an exclusive array of Black Quartzite Ledgestone. Our Slate Ledge Stone are long lasting & durable in nature and are specifically designed to enhance the outlook of any place, wherever installed. 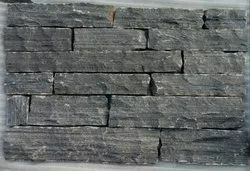 These Slate Ledge Stone and slabs are available with us in a cost-effective manner. 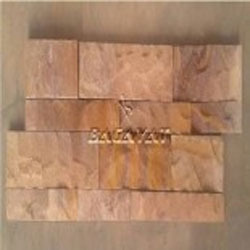 Ledge Stone, Size: 6" X 24"
Offering a wide range of agra red ledge stone.